ASIA has sold around 40 million albums over more than 40 years, putting their mark in the history of music. This album has been recorded with legendary producer Roy Thomas Baker (QUEEN, ALICE COOPER etc.) 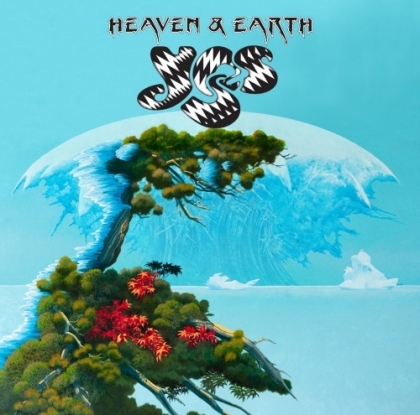 in co-operation with Billy Sherwood (AIR SUPPLY), TOTO) and the cover has been made by Roger Dean. But the band is not quite the same, of cause. It is still the ubiquitous Chris Squire on bass, Steve Howe (who quit YES for this), Alan White on drums and Geoff Downes on keyboards. On vocals we get the wafer thin soprano of Jon Davison. This is a very soft, almost fragile sounding album. The vocals are not far off a choir of castrates, dragging the guitar work with it it seems. The arrangements are as can be expected excellent with multi-layered songs with strong refrains as the result. But “To Ascend” has a ring of The Partridge Family to it, “It Was All We Know” has a sixties ring of innocence to the lyrics and “In a World of Our Own” has a touch of THE BEATLES. It is also symptomatic of the album. It seems that they have made a feather-light album for themselves. The only song I really like is “Step Beyond” which is more seventies prog rock than anything else on offer here. They still have it in ASIA, they just chose to keep it hidden under layer upon layer of softness.